The world is finally waking up to the damage being inflicted upon the environment. Every 13 seconds someone dies as a result of air pollution, with fossil fuels often pinpointed as the main culprit. Despite the technological advances made within the field of renewable energy, fossil fuels remain vitally important to big industry, as well as our everyday lives. Although diesel engines are more efficient than petroleum ones, they have borne much of the brunt of the recent fossil fuel backlash, as the emissions they produce are more harmful to public health. However, innovative solutions that produce a cleaner burn without negating the efficiency benefits that diesel drivers have come to expect are being created. At dynaCERT, this technology has been under development for a number of years and is now beginning to achieve market traction. Our proprietary, patent-pending technology creates hydrogen and oxygen on demand through electrolysis and supplies these gases through the air intake of diesel engines to enhance combustion. The result is a reduction in the carbon emissions emitted by diesel engines, as well as greater fuel efficiency. Small and compact, our HydraGEN technology units work on most diesel engines across numerous industries, producing remarkable benefits worldwide. Our journey at dynaCERT began in 2004, under our original name Dynamic Fuels Systems. At that time, we were solely focused on research and development (R&D) that centred on hydrogen technology for the diesel engine market. But success was limited, as early adopters of our products had units that were 10 times heavier than those produced for the market today. We still maintain an R&D laboratory to improve these products and processes. For instance, we made our technology more robust to work under extreme conditions and surroundings, such as those found in mining, oil and gas, construction, hot climates, freezing environments and the ocean. Despite efforts to phase out diesel engines, the demand for a product like our HydraGEN unit is as pressing as ever. Today, manufacturers produce 100 million new diesel engines per year and there are currently more than one billion in use. Certainly, market opportunities for a development such as ours have been present for a number of years and the growing awareness of environmental issues has provided further impetus for our team. Diesel engines are used all around the world in many different applications. As such, we want to help the entire world reduce its carbon footprint – one engine at a time. But didactically pushing green technologies is unlikely to prove effective and could even result in a backlash. At dynaCERT, we believe we can reduce pollution while saving businesses and consumers money on fuel, providing them with a financial – as well as moral – incentive to save the planet. Our HydraGEN units reduce the amount of diesel a vehicle operator needs, save on diesel exhaust fluid (an emissions control liquid required in modern engines) and increase the time between diesel particulate filter exchanges. What’s more, the units can increase an engine’s available power. This all leads to a return on investment (ROI) or payback period of less than 12 months in the majority of cases. As our HydraGEN units have a design life of 10 years, the financial benefits to the vehicle owner or operator are a minimum of nine years’ worth of annual fuel savings. As mentioned previously, dynaCERT has been a number of years in the making. So too has the hydrogen injection technology that resides at the heart of our offering. Diesel engine users may well be aware of the value of hydrogen injection, as it is an idea that dates back more than 40 years. However, most of the early injection systems were very rudimentary and did not produce the results they promised. To gain market acceptance, we use certified third-party verification firms to provide an independent review that customers can trust. Convincing individuals or businesses to adopt new technologies is never easy, especially when the incentives concern environmental benefits, which are long-term, and the financial motivations are slow burning. The results of our HydraGEN technology, however, speak for themselves: fuel consumption is reduced by between six and 28 percent, particulate matter falls by at least 65 percent, and nitrogen oxides are reduced by as much as 46.1 percent. Supported by the scientific community and a breadth of research, we believe that our technology provides the perfect way to cut emissions, while also guaranteeing a significant ROI. As public awareness of environmental issues grows, the competition facing technology firms like dynaCERT increases – whether it comes from electric vehicles, hybrid cars or other green tech solutions. However, we believe the future for diesel remains bright, as there are still many applications that cannot be powered by electricity. In fact, the deployment of new diesel applications is expected to continue for many decades. We are fortunate that our technology has arrived at this tipping point for different technologies. Indeed, the apparent benefits of hybrid or all-electric drive systems seem to be good for the environment, but have high capital costs and only offer very long-term solutions. Conversely, our inexpensive HydraGEN units are available today, can immediately make diesel-powered equipment more energy efficient, and can lower carbon emissions by up to 50 percent. Our smart electronic control unit (Smart ECU) is the brains behind the system and ensures we can deliver the benefits promised by our HydraGEN units. The Smart ECU monitors and optimises performance by regulating the flow of hydrogen into the internal combustion engine. Our HydraGEN technology has taken over $35m (€29.6m) and eight years to develop, and the challenges inherent in creating a reliable, accurate Smart ECU have been a significant factor in this. In order to experience the advantages of hydrogen injection, the amount of hydrogen that is introduced into the engine must be measured to a precise level. Over many years, our team of experts and engineers has enabled dynaCERT to achieve this, while developing our Smart ECU in other ways too. The Smart ECU is not only a tool for optimisation, monitoring and reporting, but also for integrating with fleet management tools and international cloud-based, real-time communications. At dynaCERT, we believe the ambitious aims we hold for our technology must be backed up by real-world results. 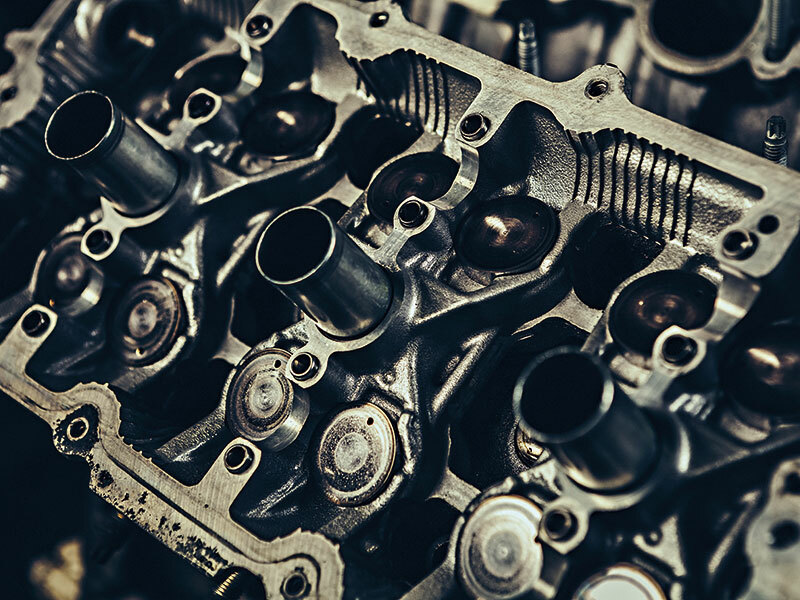 Across many different vehicle types and in markets ranging from India to Mexico, diesel engine operators are witnessing the benefits of our HydraGEN technology on a daily basis. As a company, we have also been rewarded for our efforts, winning the 2018 Edison Gold Award in the vehicle advancements category. However, more work needs to be done. The environment remains under threat from carbon emissions and other harmful pollutants, and we understand that ongoing improvements to our technology can make a significant difference in this space. That’s why we are committed to the continued deployment of our HydraGEN technology in the electrical generator, trucking, marine and rail industries, as well as further advancing our R&D in order to reach new heights.